Roots & Rituals are a new hair care brand based in the UK. Focused on natural products inspired by the traditional ritual of hair oiling, they provide products free from SLS, silicones, mineral oils, parabens and artificial fragrance that repair and hydrate the hair. The Deep Conditioning Hair Oil and Conditioner are two of the products available (and the ones that I will be reviewing today) with the Shampoo being the third product in the range (which is set to be released on Tuesday January 13th 2015). The Deep Conditioning Hair Oil contains "pure and carefully selected ancient hair oils to create a truly effective ritual for both hair and scalp” [source]. These include coconut oil, avocado oil and olive oil for moisture; almond, amla and sesame for nourishment and hydration and hibiscus, basil and argan to repair. 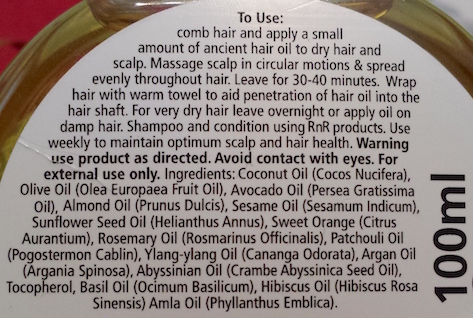 The Conditioner follows suit, including the same oils as the hair oil in a cream base. I was recently contacted by Karishma from Roots & Rituals about testing out a couple of samples. Being really impressed by the ideals and ethics behind the company I was really excited to give them a try. Karishma, founder of Roots & Rituals, is a Biochemist by profession and worked in the pharmaceutical industry for over 8 years. Constantly bombarded with the side effects people experienced when using harsh chemicals she decided that it was time to step away from artificial and synthetic ingredients and try to move towards more natural & botanical ingredients, giving consumers the opportunity to experience the beneficial effects of more natural formulations. "Tired of coming across haircare products loaded with silicones, mineral oil, SLS, parabens and artificial fragrance I decided to create my own haircare range. I stopped looking at the packaging or the front label - instead I just focused on the ingredients which appeared in tiny print. 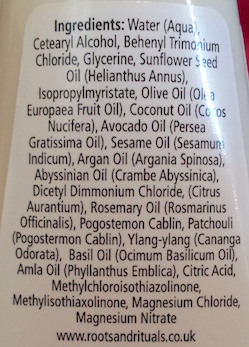 After reading possibly 500 ingredient lists, it was apparent that most haircare products had very similar compositions with hardly any natural ingredients - the main difference being either the front label or some clever marketing techniques. We expose our hair not only to harmful chemicals but also straighten, curl, colour and bleach our hair much more frequently. The ultimate objective is to give our crowning glory a break by providing deep nourishment to hair and scalp using effective natural ingredients - haircare as nature intended. " For more information regarding what ingredients are considered as bad for the hair, the Roots & Rituals website also has a very easy to understand section that contains advice and tips. To use you need to apply around 10ml of the oil to dry hair (or damp hair if you have really dry hair) and massage it in using circular motions. Next, you need to leave the oil on the hair for 30-40 minutes, wrapping a warm towel around the hair to help aid the penetration of the product. Alternatively, if you have severely dry hair, you can leave the oil in overnight. 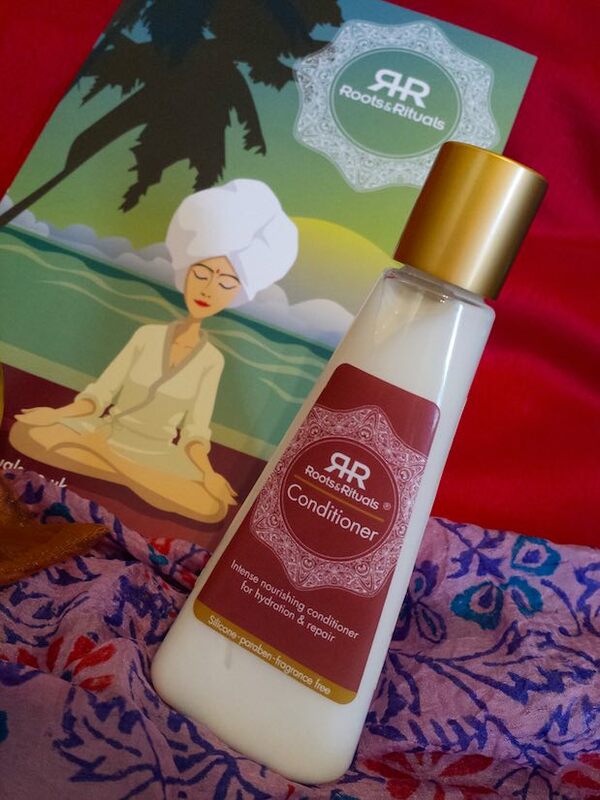 You then need to remove the oil with the Roots & Rituals Shampoo and follow up with the Conditioner. The conditioner needs to be applied after the use of shampoo. You need to apply it to the mid-end lengths of wet hair (a small amount goes a really long way! ), massage in and leave for a few moments. Rinse thoroughly with water. I am incredibly impressed by both the Deep Conditioning Hair Oil and the Conditioner! The first thing that you notice with both products is the smell which is quite strong, but very nice. I have been informed that this is due to the amla oil, but it is also naturally fragranced with ylang-ylang, rosemary and patchouli oils. The best way that I can describe the scent is that it is quite "incense-y". Personally that type of scent is right up my street due to being a big fan of incense and essential oils! The application process of the oil is simple and straightforward, as is the removal. As I didn't have the Roots & Rituals Shampoo I washed my hair twice with Weleda's Millet Nourishing Shampoo before using the Roots & Rituals Conditioner. Instantly I noticed that my hair felt far softer and looked generally sleeker and tamer than it did beforehand. Thanks to the Conditioner, my hair was also far easier to detangle than it usually is. When I say far easier, I mean that I had zero issues whatsoever with knots rather than fighting with it and having to use a detangling spray. The amount of conditioner that I have to use with this product is incredibly small. I was amazed at how such little product spread so far! Both the Deep Conditioning Hair Oil and Conditioner feel really pampering during use and knowing that they are natural, to me, makes it even better. Once I let my mum and sister know about how I had used these products, both of them were eager to test them out too. My sister has severely dry hair whilst my mum has hair that gets greasy quickly, so my sister decided to try out the oil whereas my mum opted for the conditioner. Both of them were thrilled with the results! My sister said that her super dry hair was left feeling soft rather than like straw, and my mum said that the conditioner had left her hair feeling soft and with a healthy shine. They've both already got plans on purchasing more from the brand in future. Also as exciting, on Thursday 15th January the brand is set to release an electronic Heated Head Towel to help aid the application of the Deep Conditioning Hair Oil. This will work with the use of a battery that will need to be charged, so the towel can be used cordless or whilst plugged in. It will also have three different heat settings to achieve the perfect temperature for each individual! If you are on the hunt to try out a new, natural haircare range, I definitely recommend giving Roots & Rituals a try. With the release of their shampoo and Heated Head Towel also coming within the next week, now is definitely the right time to check them out. 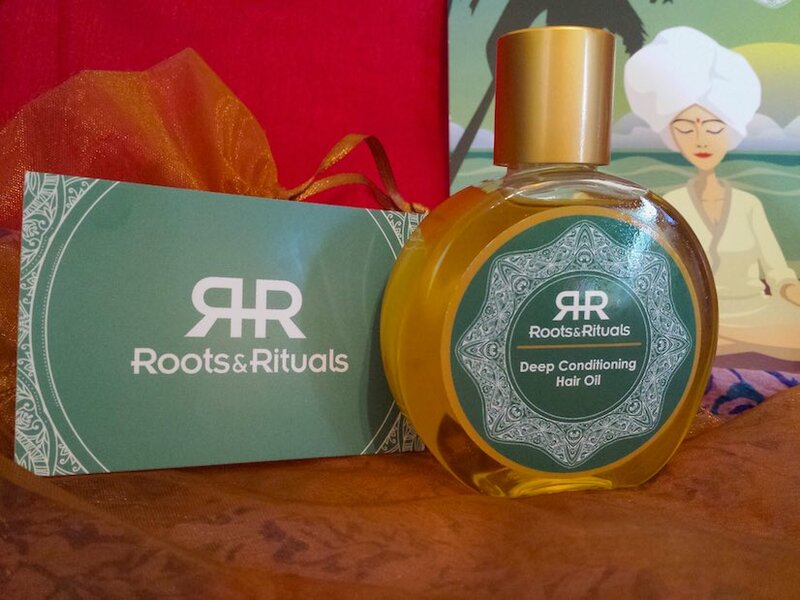 You can purchase the Roots & Rituals Conditioner 100ml for £7.49 (which includes post and packaging) and the Roots & Rituals Deep Conditioning Hair Oil 100ml for £18 (which also includes P&P) both from the Roots & Rituals website. What are your thoughts about Roots & Rituals? Are they a brand that you'd like to try out? 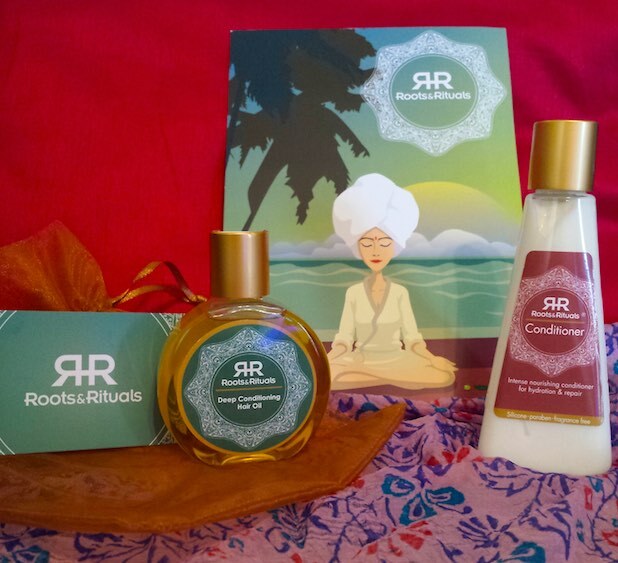 *These products were sent to me to sample by Roots & Rituals. However, this hasn't in any way affected my review with all thoughts and feelings about the products being 100% my own and those of other contributors to the review.